Works with or without an agent. Scans on many different protocols and ports to discover most of the information that you would need for a device automatically. When you feed it login credentials, it gets even more information about the devices, especially for Windows. I like that if you feed it SNMP info for a switch, each device lists the switch port it is connected to. It's also nice that you can manually enter devices, or manually edit existing devices. Keeps track of warranty information for some devices such as Dell and HP. Sometimes devices fail to scan. A mac remote agent would be a nice addition. Great software, especially considering it is free. "Lots of features and power for a very affordable price, FREE!" Spiceworks Inventory is the best free tool I have ever used. It has so many useful features and gathers all of the hardware and software inventory for every device on my network and gives me the ability run reports from that data. If you don't like the standard reports, there are plenty to download or you can create your own. Amazing! As with any software there are functions that I wish were faster or easier, but Spiceworks is great and tracking my inventory and licenses as well as keeping up with all newly installed software or patches or new devices on the network. It takes some effort to get all of the devices to a point where Spiceworks can inventory them, but with a little maintenance it works like a charm. 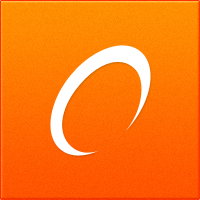 Spiceworks maintains our Software and Hardware inventory and maintains our Software Licenses. I check it often for any new devices or software on the network. I love how simple it is to log and keep track of all our inventory, it is really easy to use. I’m not computer savvy but I can use inventory without blowing the internet up. Lol! But seriously it is a great asset and it will help put ur mind at ease knowing your inventory won’t be the problem u have to deal with in the morning cause this does it all. I would really like to be able to add pictures to my inventory log. That way I can just scroll through the list while seeing everything through a actual picture of the piece and not just words saying the name of what it is. Also the price could be a little cheaper but that could be just me cause I’m a cheapskate. Lol! Besides that I can’t say that I have any issues. I know exactly what I have and how much I have. As far as benifits, I don’t have to wonder if I still have something in stock because it tells me when My inventory is getting low or completely out of something. "Inventory and Asset Management that fits your needs... FOR FREE!" Inventory is a great product that can give you a complete view of the networks based on network scans. It can integrate with active directory and create groups of similar products. It makes it easy to run reports to get as much detail as needed or just a quick visual glance from using charts. It has functions that lets you know when devices need attention or have alerts and it can also integrate with email to send automated notifications based on your own customization. While Inventory has a lot of features and is an amazing product, it tends to be slower for larger environments even while having multiple collection agents in different buildings. This is mainly due to the limitations of the SQLite software. Inventory is best for small to medium sized environments where devices are 1000+ or less. It can be used with larger environments by deploying remote collectors but since the main database is built upon SQLite, you might run into slowness issues. With Inventory, we were able to get a complete view of our current network and the types of devices in it. We use the reports section to get any info we want in a nice format or in a chart for ease of viewing. "Great resource for scanning and locating new network devices"
Spiceworks IP Scanner is very easy to install and run network scans to search for new devices. The fact that it is a cloud based scanner works great for our company with multiple offices. The IP scanner doesn't seem to support smart devices/ internet of things right out of the box. Thankfully the spiceworks community is very helpful. It's allowed us to scan our system and catalogue our IT inventory. We didn't have a system in place for this previously. program is really simple and user friendly. really easy to keep track of materials that have been ordered or need to be re stocked. i can provide reminders if you create a re order schedule. overall great program. there’s nothing to dislike - the program does what it is supposed to do and works without any problems in my experience. "Great product for small businesses on budget"
centralized management for inventory, also lets me know when new devices join the network. a huge plus is the alerts features that you can enable, for example, you can enable alerts to let you know when your printers (networked) toner's are 10% ink left. "Good Start but Room for Improvement"
It gets me the data that I'm looking for and the price is good. The ad supported concept used by this product just doesn't work for me. In today's age, I have no idea where the data is really going back to. Check around, many other products already have inventory capabilities. Just want to get a reliable report on what I have. * We monitor all Inventory reviews to prevent fraudulent reviews and keep review quality high. We do not post reviews by company employees or direct competitors. Validated reviews require the user to submit a screenshot of the product containing their user ID, in order to verify a user is an actual user of the product. Hi there! Are you looking to implement a solution like Inventory?